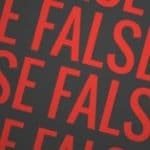 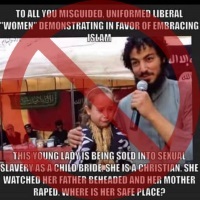 A photo circulating online claims to show a young girl being “sold into sexual slavery.” But, according to fact-checking sites in 2014, the picture is from an old video of a child participating in a Quran recitation. 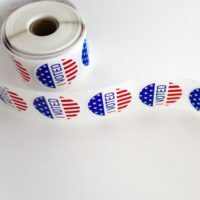 Dubious posts on social media erroneously claim that a photo of an activist is former Rep. Beto O’Rourke, who is also running for president. 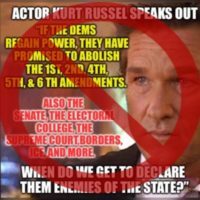 A viral meme falsely claims that actor Kurt Russell “speaks out” against the Democratic Party. 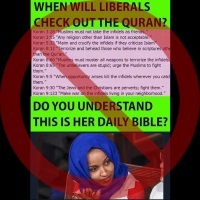 But the quotation attributed to him is made up. 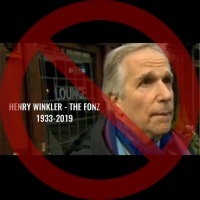 Henry Winkler is very much alive, contrary to a hoax story about his “death” that falsely claims he had been a “huge Trump supporter” and an NRA member. 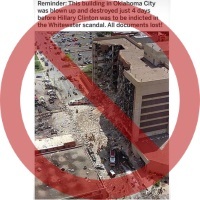 A viral meme has revived an old, baseless conspiracy theory claiming that Hillary Clinton is linked to the Oklahoma City bombing. 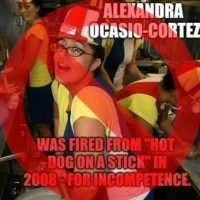 Rep. Alexandria Ocasio-Cortez wasn’t “fired” from a hot-dog franchise for “incompetence,” despite what a popular meme says.